The Source has a great Back to School contest! 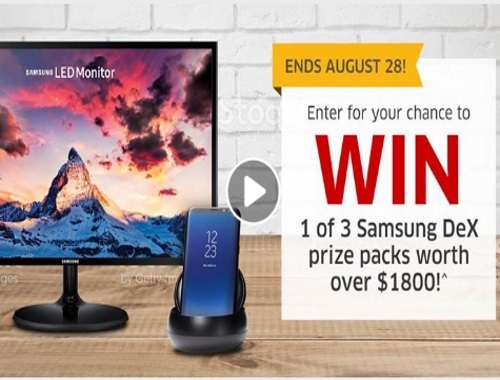 Enter to win 1 of 3 Samsung DeX prize packs worth over $1800! The Source and Samsung want you to go back to school in style, so they’re giving away three Samsung DeX prize packs with everything you need to take on this school year–including a Samsung DeX, Samsung 27” monitor, Galaxy S8 smartphone and more! Just watch the video at the link below and tell them in the comments how a Samsung DeX will help you take on the school year and you’ll be entered for your chance to win. Contest closes August 28 2017. Click here too enter the contest.